When you rent landscaping waste bins for your project, you can expect superior service from our team. Whether you’re working on a large-scale landscaping project or excavating a new foundation, you’re going to need somewhere to store all that soil. At Guaranteed Services, we provide landscaping waste bins to fulfill this need and contribute to making your project a success. 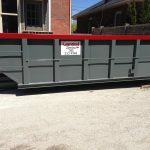 If you’re not sure what size or how many landscaping waste bins that you will need for your project, you can consult with one of our team members to get a professional recommendation. We’ll discuss the scope of your project and what materials you plan to dispose of, and make our recommendation based on that information. 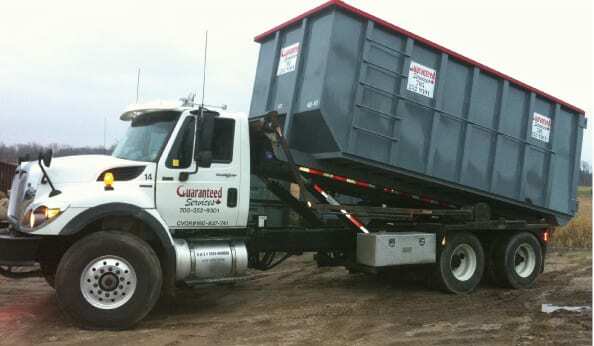 When you rent one of our landscaping waste bins, we’ll take care of everything so you don’t have to—we will deliver your bin and place it in the spot of your choice when you’re ready to begin the work, then haul it away again and dispose of its contents at the proper facilities once your project is complete. When it comes to landscaping projects in particular, you may have some concerns about a waste bin damaging the underlying sod or ground cover. Rest assured that our Guaranteed Services team will take every caution to prevent this, placing the bin in the best spot and padding its touch points with a layer of plywood to prevent tearing or other damage. We at Guaranteed Services are proud to serve the Angus, Ontario, community, and we want to help you make your project a success. If you need landscaping waste bins for your next endeavor, call our team today to learn more about what we can do for you.